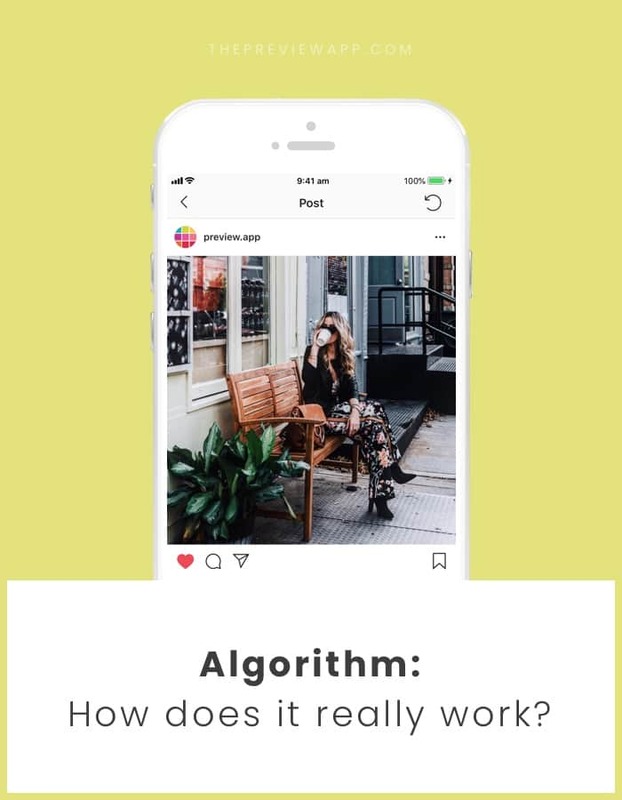 Instagram Algorithm 2018: How does it work? Time to get real. What’s going on with the Instagram algorithm in 2018? So you bet I’ve been experimenting with this algorithm to see what works and what doesn’t work. I’ve noticed changes. I’m going to share them with you. The good news is: the Instagram algorithm seems to prefer quality over quantity. So stop freaking out about the number of followers and likes. The other good news is: you just need to know what to pay attention to. Instagram will always be changing. You can choose to fight it or work with it. I’ve decided to work with it. What have I learned through this experiment? Act like a normal human being and have fun again. If that’s all you’re going to remember from this article, it’s enough. I’m going to tell you why relevance, timing and being human will help you grow your account in 2018. I’ve noticed that depending on what accounts I interact with and hashtags I use, Instagram shows me different kind of photos and videos. For a couple of days I was into puppy photos. I liked and commented on many of them. A few days later my Explore page promoted dog accounts. Another time, I kept posting on my feed using hashtags like #styleblogger, #lifestyleblogger, #postitfortheaesthetics. Instagram pushed lifestyle accounts in my home feed. It was showing me photos of people that I’ve been following but that haven’t seen in such a long time (does it happen to you too?). The “Recommended for you” posts were also about lifestyle bloggers. This shows that Instagram shows posts that are relevant to what you like. If this is happening for my account, it must be happening for other people too. Relevance seems to play a very big part of the Instagram algorithm. And it could explain why likes, comments and engagement dropped. Let’s say you have an account about cute dogs. Andrew finds your account. He really enjoys it and decides to follow you. But Andrew never likes, comments or engages with posts about dogs. As a result, Instagram might not show your posts at the top of his home feed… because it thinks that Andrew is not interested in dogs. The algorithm thinks that your “dog” photos are not relevant to Andrew. It is unfortunate because we all want all our followers to see our posts. However, it’s not all bad news. If you attract the right followers, post often on your feed and Insta Stories, Instagram will show your posts to them. It means that you can control the Instagram algorithm (to a certain extent). Naturally, Instagram wants you to use those tools. The more you use different tools, the more Instagram will like you and value you as an active user. Careful: Do not use automated tools that like, comments or follow/unfollow for you. Instagram doesn’t allow automated tools. It can get your account in trouble. The algorithm is getting smarter. It can identify suspicious activity or “spam”. So be human. A hashtag is a way for Instagram to know what your post is about. It is also a way for Instagram to connect you to other people. Instagram is making features that support hashtags (hashtags in Insta Stories + “Follow” hashtags). So it means that hashtags are still important and relevant. Engagement seems to be the Instagram secret weapon of 2018. Engagement = interaction on your post (which are likes and comments). Instagram seems to be supporting posts that have good engagement. Recently, I was looking at the hashtag page for #smallbusiness. This hashtag is very popular and therefore very competitive because it has more than 10 million posts. Yet, a small account (with less than 1,000 followers) made it to the “Top 9” posts! Why? The post had good engagement. Your Instagram home page might not be chronological anymore, but timing is still very important. The faster you get engagement, the more Instagram will show your post in people’s home feeds and Explore pages. It makes sense. Think like a human. If you want to find friends who want to paint, you’re not going to search for people who want to cook. You’re going to search for people who want to paint too. It doesn’t like if you’re being fake (so don’t use automated tools). Instagram will like you even more if you’re using the app regularly. It doesn’t mean you have to post every single day of your life. It means that Instagram will like it if you have a routine or schedule. You can post every second day if you want. The key is to be consistent and not vanish. Welcome to the end of this article! That was a big one. I hope you’re not feeling confused or overwhelmed. Like I said earlier, always think about these 3 words: relevance, timing and human. Relax. Have fun sharing photos and videos you love. At the end of the day people connect with people. So be human. Leave me a comment if you enjoyed this article or if you have any questions.